I would love some Target shopping money! I already liked Totally Target on Facebook. Thanks! Would love to win this….would really help out! It’s like skeeball – my favorite arcade game! Love the site! Thanks for the chance to win. Going to go get my twins B-day gifts this week. This would really help! I follow/like totally target on facebook! I liked you on FB months ago. Great decision!!! Thanks for the great tips and finds! This game would keep my boys busy while I was spending the gift card! Pick me, please!! My stockpile would enjoy this. 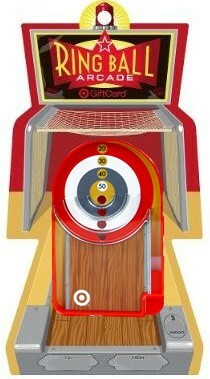 I can totally see my husband playing that the whole time I drag him around Target on one of our shopping trips! I have already like Totally Target on FB! My Target has great gift cards but the selection you giveaway knock mine out of the park. I would love to win this giveaway! I love shopping at Target!